All 78 inmates escape from a prison in Aquin, Haiti, amid ongoing unrest in the country that has left four people dead. Authorities say all 78 prisoners fled whilst police were distracted by anti-government protesters. 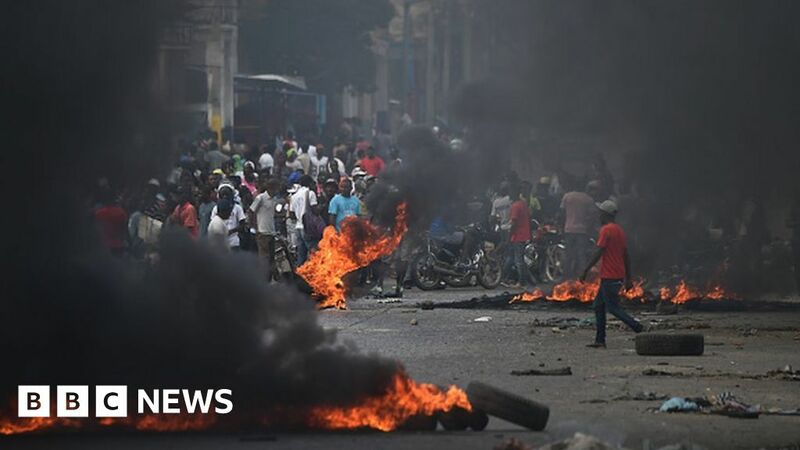 2019-02-14 The death toll rises to 9 as protesters ask for Jovenel Moïse to step down as president of Haiti. The protest started Feburary 7. 2019-01-16 At least 21 people are killed in a massacre by gunmen in police uniforms in Port-au-Prince, Haiti. 2018-10-8 The death toll of a magnitude 5.9 earthquake that struck Haiti rises to 15. At least 333 others are injured. 2018-10-6 A magnitude 5.9 earthquake kills at least 12 people in northern Haiti. At least 162 others are injured. 2018-10-10 The death toll of a magnitude 5.9 earthquake that struck Haiti rises to 17.